High speed Fenn Blue Fin Surfski with carbon fiber wing paddle for sale. A Surfski is a high speed ocean racing vessel. It is 19' long, vacuum fiber glass, and weighs only 28 lbs. 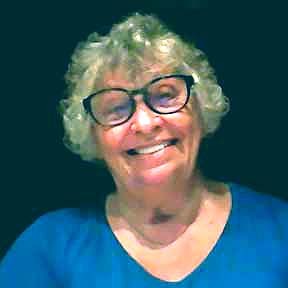 Paid $3,100 US in August, must sell due to move. 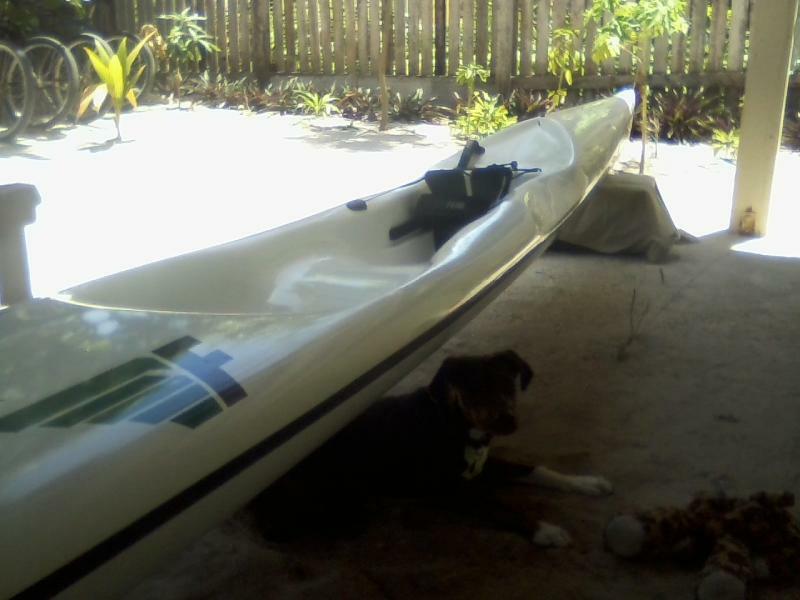 The Surfski can be seen and tested at Caribbean Villas. with scuppers and quick drain. You sit in a cockpit with no skirt and you use foot pedals to steer the shallow rudder under the stern of the craft. It comes with a carbon fiber wing paddle that is fully adjustable with a center lock allowing the paddle to come apart and store in its carry bag. Tools, leash and carry storage straps included. I have been the only paddler on the surfski. 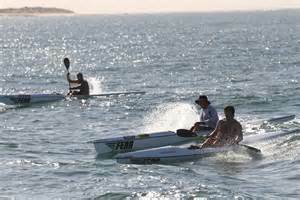 The Surfski is by Fenn, the company founded by world renowned surfski racer Keith Fenn of South Africa. 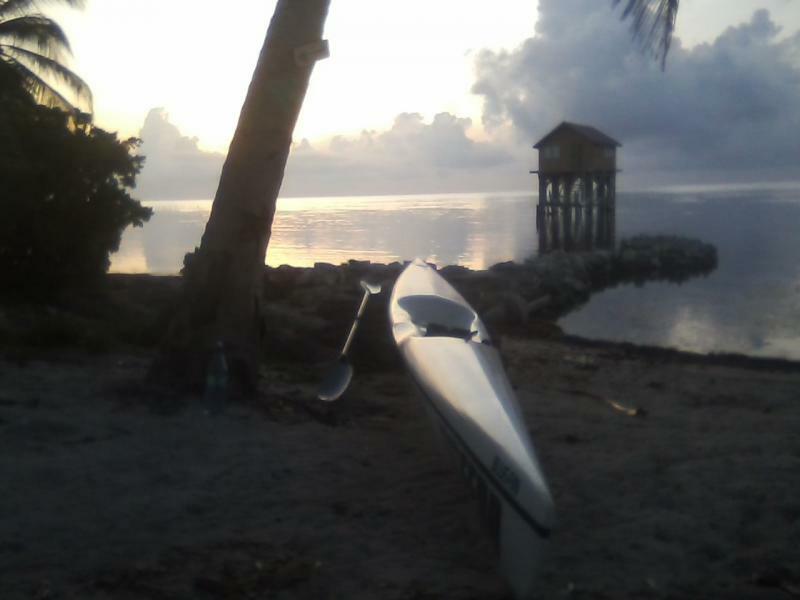 The surfski was imported to Miami to Venture Sport owned by Bruce Gipson another world renowned surfski paddler, and then shipped via Hyde Shipping to Belize and then to Ambergris Caye at the end of August 2014. The surfski is roughly 5 months old from time of manufacture and is in excellent condition. 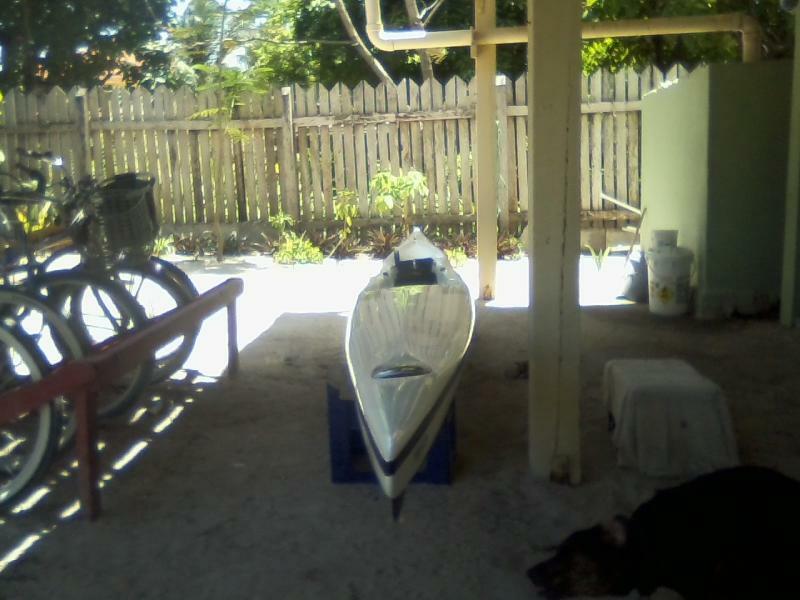 The model is Blue Fin and is regarded as the worlds best entry level Surfski with high primary and secondary stability without compromise of speed. Available and priced to sell to the right athlete. Does the dog come with it? LOL Do you still have Zar? How is she?